USARCMP Service Pistol shooters competed against the best competitors from all branches of the DOD throughout a five-day competition consisting of Precision Pistol (NRA and CMP) using accurized .22, CenterFire, .45, and Service Pistols. The overall Team consisted of 13 USARCMP members. USAR Black was the primary six-person element for Team matches. 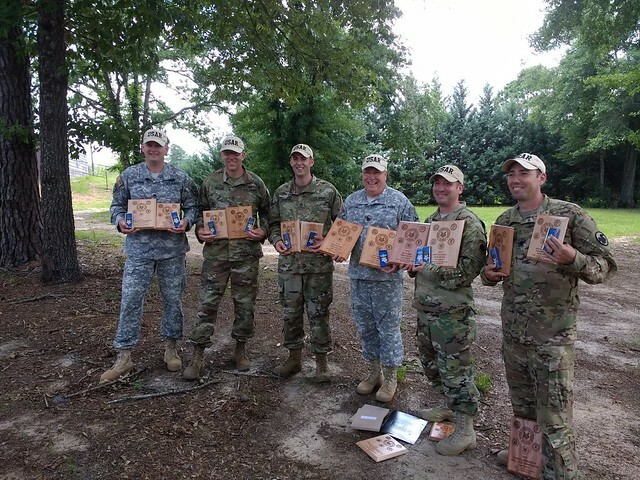 LTC Patrick Sleem (Service Pistol Team OIC), SGM George Greene (Service Pistol Team NCOIC), LTC Mitchell Rosnick, MSG Christopher Taylor, SSG Jonathan Rosene, and SGT Nickolaus Mowrer. USAR Black poses with some of the awards won during Interservice. From left, SSG Rosene, MSG Taylor, SGT Mowrer, SGM Greene, LTC Sleem, and LTC Rosnick. 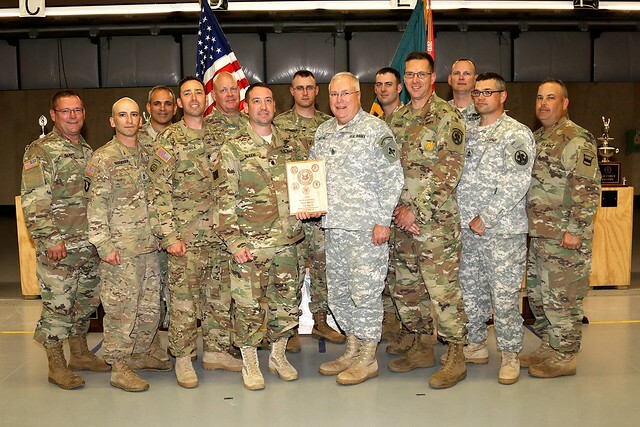 The rest of the USARCMP roster included LTC Luis Garcia, MAJ Thomas Bourne, SFC Brenn Combs, SFC Joshua Rosendorn, SFC John Buol, SGT Robert Farrell, and SGT Matthew Elliot. – A USARCMP Team shooter made the top ten of all individual matches fired. Top ten finishes from LTC Sleem, SSG Rosene, and SGT Mowrer.